Humble Indie Bundle is back! Only two months after the previous installment, you can now download Humble Frozen Synapse Bundle from the Humble Bundle website. 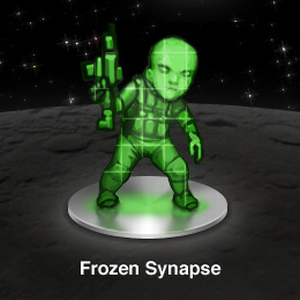 The bundle is a bit different this time, and includes only one game – Frozen Synapse – and a bonus game: TRAUMA. Both games work on Windows, Mac and Linux and are DRM free. As usual, you can choose to pay as much as you want for the games, and you can decide how you’d like to split the money between charities and the developers of the games. If you pay above average ($4.66 as of right now), you will also get an extra bundle, the Humble Frozenbyte Bundle. This extra bundle includes the games Trine, Shadowgrounds, Shadowgrounds: Survivor, and two bonus games: Splot and Jack Claw. The bonus Frozenbyte bundle is a bit different than usual. The bonus game Splot is still under development, and will only be added when it’s done, but that should give you something to look forward to. The bonus game Jack Claw is basically an unfinished game which was cancelled before development was completed. If you’re on a Mac, or on a machine with Intel integrated graphics, pay attention. The Frozenbyte games will not run on Intel integrated graphics, and the Shadowgrounds games require Mac OS X Snow Leopard (10.6+) and up. Hurry on and download the games soon, because there are only 9 days left to get this bundle! So will my macbook pro run the bonus pack or not? The Showgrounds games (part of the bonus pack) require OS X Snow Leopard (10.6+) and up. Other than these two games, you shouldn't have a problem either way.